Over the past few years, OSL and TCN datings of glacial material from High Asia have come into fashion. To this day, however, these techniques do not permit safe calibration. The intensity of the cosmic ray flux is being modulated by the solar and terrestrial magnetic fields and their secular fluctuations in the past. So far, these variations cannot be converted into the respective local TCN production rates for High Asia. We have reason to believe that the ages that are being calculated despite these uncertainties are generally overestimated. This assessment is supported by conventional radiocarbon dates and above all by the glacial chronology developed independently on the basis of the Quaternary geological method. 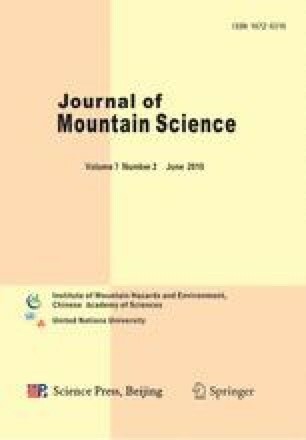 The strongly emerging evidence for a much more extensive LGM glaciation of High Asia is, however, either being ignored or rejected by many authors, solely on the basis of the above-mentioned uncalibrated datings. This self-conceit based on the “dating fallacy”, as we call it, should be avoided since it goes decidedly against the standards of the scientific method established in Quaternary geology and makes a fundamental scientific discussion impossible.